The Bhutan Economic Forum for Innovative Transformation (BEFIT) was inspired by His Majesty’s vision that our recent example in ensuring a successful democratic transition must be accompanied by successful economic transformation based on the foundations of a just, equal and harmonious society. 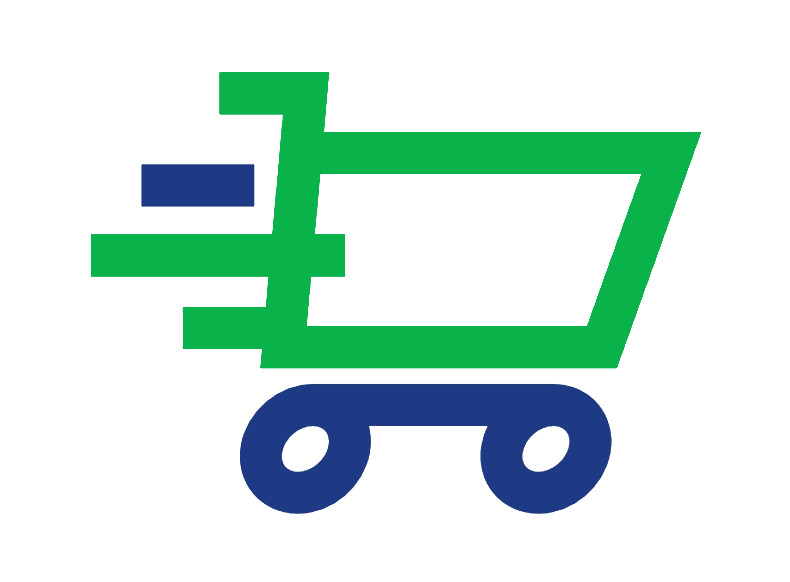 BEFIT is a national platform to bring together a wide range of expertise to share best practices and discuss innovative solutions to emerging national and regional economic challenges, with the overarching objective of transforming and bettering lives. BEFIT aims to establish itself as a credible and impact-oriented national forum. Therefore, partnerships with domestic institutions and reputed multilateral institutions are important in ensuring meaningful dialogues and sustainable results. The theme for each BEFIT event is carefully selected to address a pressing current need in close consultation with relevant stakeholders. The expected outcomes are clearly identified from the beginning while partnerships ensure collective ownership and sustained commitments to implement the expected outcomes. To commemorate the birth of His Royal Highness the Gyalsey Jigme Namgyel Wangchuck on 5th February 2016, the Financial Institutions Association of Bhutan made a pledge to Their Majesties to renovate a historic monument or make a substantial cash offering. In response, His Majesty commanded that His Majesty would match the Association’s offering to institute a fund that will finance the creation of a platform where the financial institutions, the central bank, the government and the private sector can come together to discuss and share ideas, and learn from global expertise, to strengthen our economy for the benefit of all citizens. The Royal Monetary Authority of Bhutan and the Financial Institutions have come together to institute the fund, matched by His Majesty, for the creation of the Bhutan Economic Forum for Innovative Transformation. BEFIT aspires to realize His Majesty’s vision for a vibrant democracy built on the foundations of a strong and dynamic economy. Events organized under the BEFIT banner will be guided by the principles of ensuring people-centered, participatory and inclusive growth. The theme for BEFIT 2019, “Catalysing Cottage and Small Industries to Drive Bhutan’s Economic Diversification”, is timely and relevant as it aligns with the objectives of Bhutan’s Twelfth Five Year Plan (2018-2023). The Royal Government has pledged to keep our economy secure by developing an inclusive, sustainable and equitable economy that contributes to GNH. Accordingly, high importance has been accorded to promote Cottage and Small Industries in the Twelfth Five Year Plan, as this sector engages a significant number of people, generates employment and livelihood opportunities for many, and contributes towards maintaining our culture and identity. Strengthening and expanding this sector is also seen as being key to economic diversification and boosting economic activities in villages and local communities and enhancing income for rural areas. In view of the above, the Royal Government has endorsed BEFIT 2019 as the most appropriate platform to take forward its mission of diversifying the economy, thereby “narrowing the gap”. It is our collective aim that BEFIT 2019 further supports the objectives of the Royal Government to strengthen the CSI sector by reviewing the Cottage, Small and Medium Industry (CSMI) Policy 2012 and identify new interventions and policy reforms needed to catalyse the CSI sector as an important driver of Bhutan’s economic diversification plans. 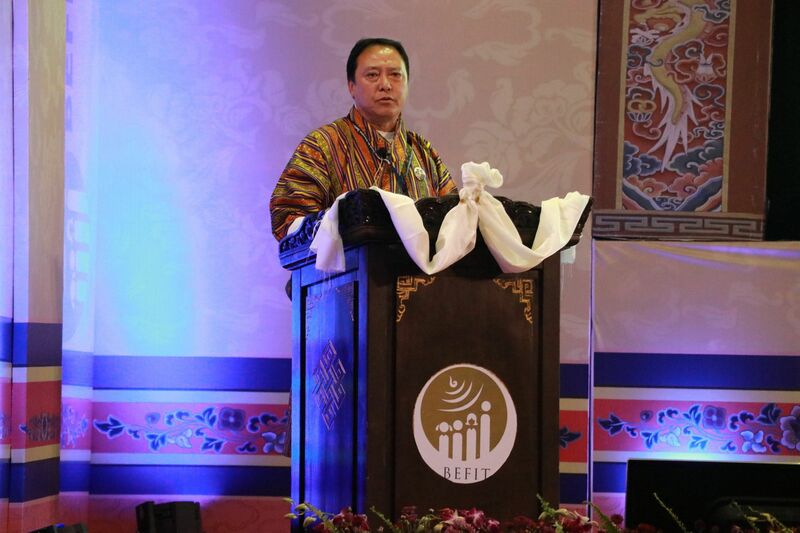 The insights gained from BEFIT 2019 will also assist in the formulation of a CSI Master Plan that will articulate the medium-term interventions required to set up a vibrant and resilient ecosystem to support the development of a diverse and robust CSI sector in Bhutan.To ensure that the discussions and outcome of BEFIT 2019 are relevant and tangible, the organizers will select 50 CSI entrepreneurs to show case their products and services at the conference venue. This event is expected to link our local entrepreneurs with potential investors and partners. In addition, entrepreneurs will also be selected for the jabchor platform. The organizers look forward to welcoming everyone to the beautiful mountainside campus of the Royal Thimphu College in the outskirts of Thimphu City where BEFIT 2019 will be hosted. A critical need among young Bhutanese is the creative impulse to recognize and take advantage of new ideas and opportunities instead of following others’ successes with a “herd mentality”. This approach will also focus on further boosting current efforts aimed at enhancing the imagination, skills, and capacity of CSI entrepreneurs. An important area of focus under this thematic area is the promotion of innovative business practices, using ICT in the business process, and shifting the focus of business from low-value products to value-addition and high-end niche products especially in agri-business, along with skills and knowledge transfers through FDI and other technology link-ups. This thematic area will focus on identifying markets, standardization and certification, leveraging “Brand Bhutan”, promotion of clusters and aggregators, e-commerce and logistics and market access through FDI and e-commerce. This area will look at both traditional bank financing as well as alternate financing platforms leveraging fintech such as angel investors, venture capital, crowdfunding, P2P as well as risk management through credit guarantees, alternate credit scoring and debt resolution etc. 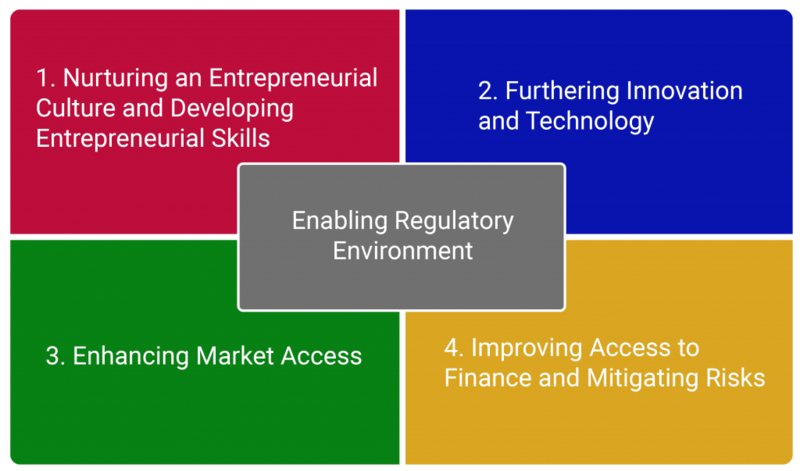 Cutting across all the above themes is a focus on improving the underlying regulatory environment through smart policies and leveraging technology for efficient solutions. The inaugural BEFIT conference, the International Financial Inclusion Summit was hosted in Thimphu on May 24–26, 2017 on the theme of “equitable growth through financial inclusion”. The Summit was organized by the Royal Monetary Authority of Bhutan and the Royal Institute for Governance and Strategic Studies (RIGSS), in partnership with the International Finance Corporation. Within the overall theme of “equitable growth through financial inclusion”, the Summit focused on micro finance, SME and agri-finance and digital financial services. In addition, RIGSS hosted its flagship Friday Forum Lecture during the Summit. The Summit brought together over 30 reputed international participants to share their experiences. Domestic participants at the summit included the 20 Dzongdags (District Governors), 20 DYT Thrizins (elected chairs of the District local government bodies) and 20 business representatives nominated by the Bhutan Chamber of Commerce and Industry, in addition to parliamentarians, government officials and financial sector representatives. The proceedings of the Summit were recorded and broadcasted by the Bhutan Broadcasting Service and documented through an official publication supported by the IFC and the Alliance for Financial Inclusion. Following BEFIT 2017, numerous supply side interventions were initiated to improve access to finance and enhance financial inclusion. Insights from the Summit have also been instrumental in guiding the RMA’s initiatives for deeper digitalization of financial services. One key outcome of BEFIT 2017 was the formulation of Bhutan’s National Financial Inclusion Strategy (NFIS) which will serve as the roadmap for Bhutan’s financial inclusion activities and guide the broader financial inclusion agenda in the coming years. Along with the NFIS, the National Financial Literacy Strategy (NFLS) was also drafted. The NFIS and NFLS are “live plans” that will be implemented over the next five years. The circle with the concentric arcs is representative of the common symbol in Bhutan for a “norbu” or “jewel”. For BEFIT, this norbu is the people. The concentric arcs also signify the aspirations of BEFIT to create positive socio-economic ripple effects from its activities.The bars contained within the Norbu represent the objective of people-centered, inclusive economic growth built on the foundations of the four pillars of Bhutan’s development framework of Gross National Happiness.